Room 8 - Growing Great Learners! : Sea Week Art! 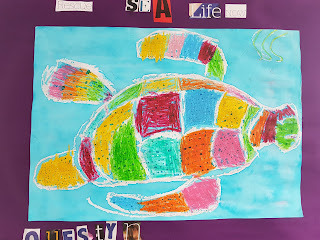 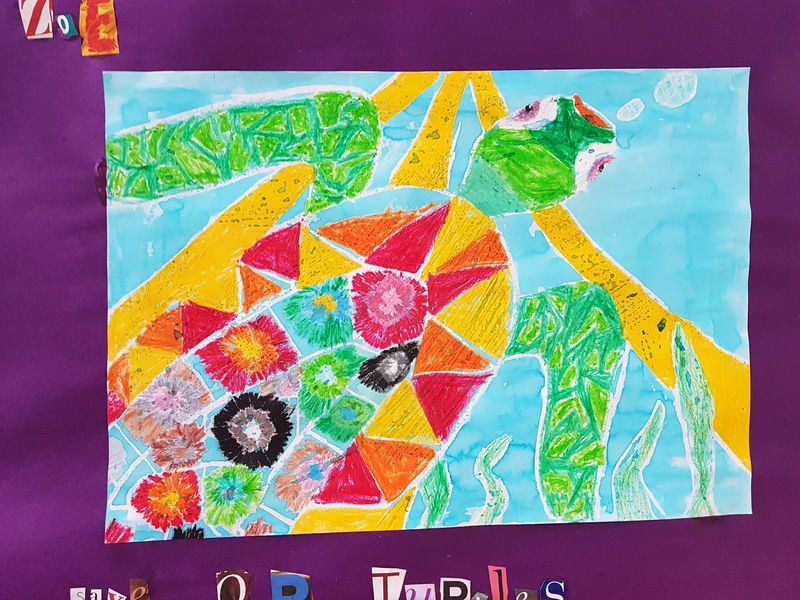 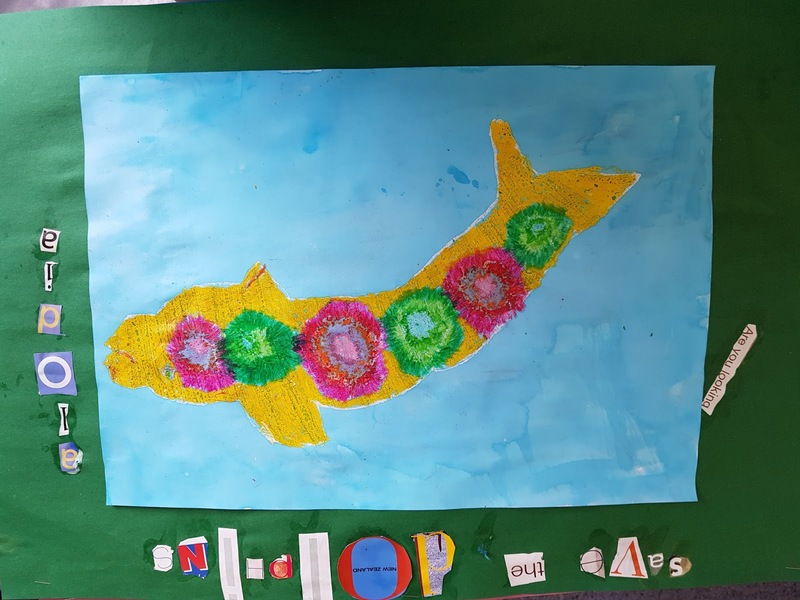 As part of our learning for Sea Week, we created crayon and dye sea creatures. 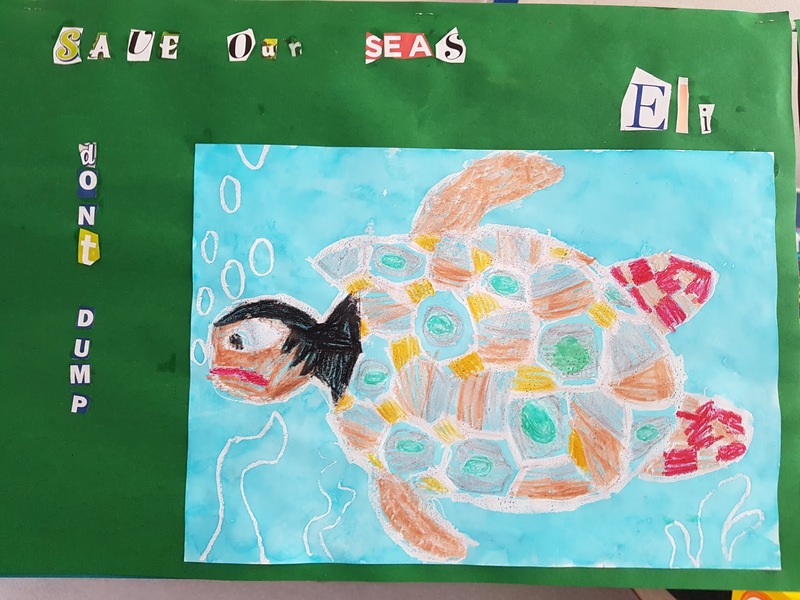 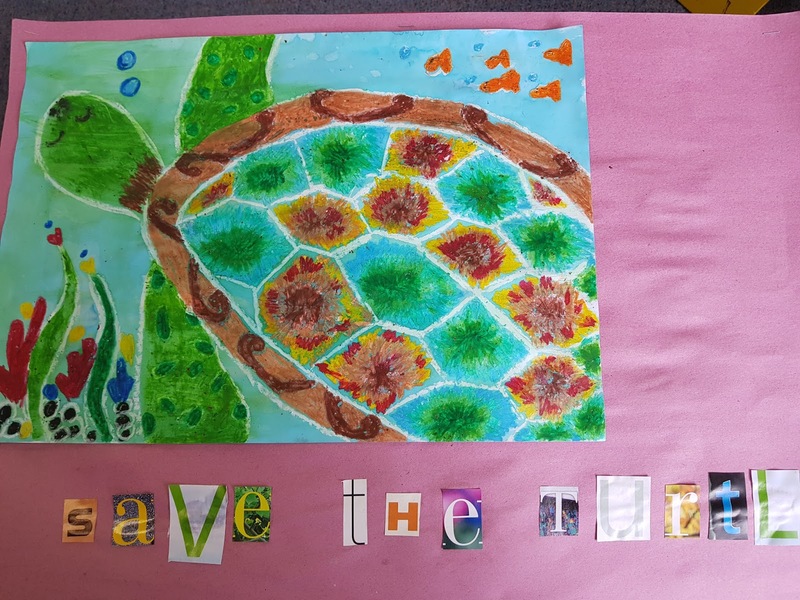 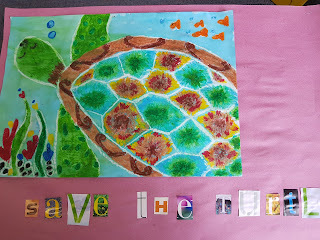 We also used recycled letters to write a slogan about looking after the sea.